Have you ever thought, What’s my house worth? These are the 7 steps to pricing your property. Whether you are considering selling your house or just want to know what your house is worth there are many factors that are considered when finding the value of your home. Many seller’s rely upon the national real estate sites to give them an estimate however those online sites don’t take into account condition, upgrades, market conditions and other factors that play a major role in value. To get a clearer picture of what your house is worth it is a good idea to get a FREE Comparative Market Analysis from a Realtor® or pay for an Appraisal. An appraisal could set you back between $300 to $500 depending upon the appraisal company and type of appraisal performed. Both the Realtor® and Appraiser will value your property using the current market conditions, condition of the property, size of the property, upgrades, location and sold comparable properties. The Realtor® will take the listing price one step further and take into account why you are selling and what time frame you need the property to be sold in to determine the best value for you. This will ensure that you will stay on track with your plans for relocation. 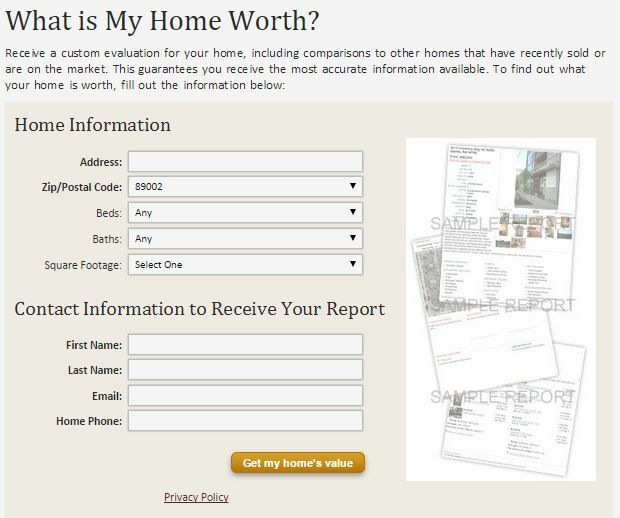 7 Steps to What’s my house worth? Current Market Conditions – The real estate market is always shifting and based on the market we are currently in it will affect the value of your property. There are three main types of real estate markets; seller’s market, buyer’s market or a stable market. The indicators of what the current market conditions are based on supply and demand. If we have a low supply of inventory and many buyers we are in a seller’s market. If we have an abundance of supply with few buyers we are in a buyers market. If we have enough inventory and it is being absorbed in an equal manner we are in a stable market. In the Henderson and Las Vegas area, a six-month supply is a stable market. Anything lower is more of a Seller’s market and anything higher is a Buyer’s market. Condition of Property – Is your home a fixer-upper? Is your home emaculate? Have you done all the maintenance yourself or hired a professional? The condition of your home plays a major role in the value. Of course a home with no need of repairs will demand more money in all markets, even a fixer can get top dollar in a sellers market. Size of Property – When doing the comparative market analysis both a Realtor® and Appraiser will compare your home to other homes within the same size and square footage. In a tract home community, it will be easy to find size matches. However in a custom home community or a community where there have been fewer sales it can be difficult. If there are no exact home matches both will make pricing adjustments up or down for differences. Square footage, rooms, garage, pools, etc. all have a numerical value attached to make the adjustments. Upgrades – Does your property have upgrades? Are the upgrades for you or are they something that any prospective buyer would love? If they are upgrades that add no value except to you while you live in the home they might not add value to the bottom line. Yes, there are many upgrades that do not add value to a home. The upgrades that most buyers are looking for are upgraded kitchens and bathrooms with such items as granite counter tops, tile floors, custom two-tone paint, stainless steel appliances, tile backsplash, upgraded cabinets. An expert will be able to tell you what upgrades add value and what upgrades were for your enjoyment. 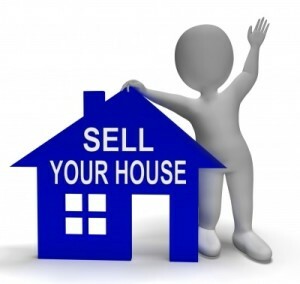 Location – The first lesson in selling is LOCATION, LOCATION, LOCATION!! Where your property is located has a huge impact on the value. Each neighborhood in the Henderson area has a specific supply and demand which can in turn affect property values. Sold Comparable Properties – What comparable homes have sold within the last 6 months? Are they comparable in square footage, bed count and style? A Realtor® and an Appraiser will study the market and pour over all the most recent sold comps that match your property to come up with a value. And as explained in the previous step, size of property, they will make adjustments in value based on the comparables. Why are you selling? – One step that only a Realtor® will take into account is, why are your selling? Sometimes the reason you are selling your property will trump the current market value. What I mean by that is if you are relocating across the country for instance and you must be there by a certain date you will be more apt to price your home to sell within 30 days. Another scenario may be you are buying a new home that is being built and it is going to be 6 months before you have to move. Then you will price it to sell within 3 to 6 months. There are many factors that go into pricing your property and I would love to represent you when you sell your property in Henderson NV. Contact Ernie Gonzales for a FREE comparative market analysis from agents with over 25 years local real estate experience and go over our comprehensive online marketing plan to get your home SOLD! This entry was posted in Selling Your Home by gonzalesteamvets. Bookmark the permalink.